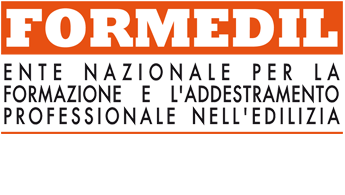 In ITALY, vocational training in construction is carried out through a national training system regulated by the National Collective Employment Agreement. FORMEDIL is the central body of this system and is composed of the social partners of the sector, i.e. the National Association of Private Construction Contractors, ANCE, the trade unions FENEAL-UIL, FILCA-CISL, FILLEA-CGIL as well as ANAEPA, CNA, CLAAI, CASARTIGIANI, ANIEM, AGCI, CONFCOOPERATIVE, LEGACOOP; FORMEDIL is structured on a network of 104 Building Schools (SCUOLE EDILI).